Why would a guy with a B. Tech in Chemical Engineering and an MBA from IIM Calcutta ever choose a career in advertising? The life and journeys of India’s finest adman since 30 years is stranger than the question itself. His influential journey to the advertising industry in early 1978 is not just inspirational, but also a modern fairy tale. With no intention in mind to be part of an industry he hardly knew about, Ambi Parameswaran just wanted to stay on at Jokaand doing an internship in Kolkata. This was when he got to know about an advertising firm offering internships to right candidates in Kolkata. “I walked in to the interview room oblivious of the sudden change my life was about to take. I met with Subhas Chakravarty and Ajit Balakrishnan and discovered a new agency called Rediffusion Advertising,” said Ambi Parameswaran during his interview for a magazine. Both Subhas Chakravarty and Ajit Balakrishnan were IIMC alumni. Their passionate conversation about exponentially growing advertising industry, exciting business of strategy driven ideas, and IIM graduates foraying into the industry changed the path of his mundane life. “I also got to know that advertising was not just about clever ads and learnt that an agency team can play a very critical role in the fortunes of brands and companies,” he added. When he left the room that fine day, he was already a changed man for he knew that his exciting affair with advertising had just begun. In the year 1981, Ambi Parameswaran learned a lesson of a lifetime—that nothing is too small for a man with real passion for something. He along with his agency was working on a campaign for the industrial product client Thermax. Mr. Parameswaran was personally involved in the project owing to his understanding of chemical engineering and had personally briefed the team on a six-ad corporate campaign. Mr. R.D. Aga, the Managing Director of Thermax, personaly requested Mr. Parameswaran to leave the draft of the ads with him for his team in Pune to review. After exactly 10 days, the package arrived from Pune. “It was neatly typed copy of the six ads that I had left behind. The copy was written exactly to fit the layout presented. The marketing communication team at Thermax told me that the copy had been sent from the MD’s office. I went through the copy and found that it was perfect. I suspected that Mr. Aga had his hand at writing the copy (he had done literature at OxfordBSE 4.64 %, I had heard),” said Ambi Parameswaran. This inspired him a lot. The Managing Director of such a large company got so involved in the process of making ads that he personally wrote the entire draft himself. For him the learning was fascinating and, also, became the pioneer of his many achievements to come in future. 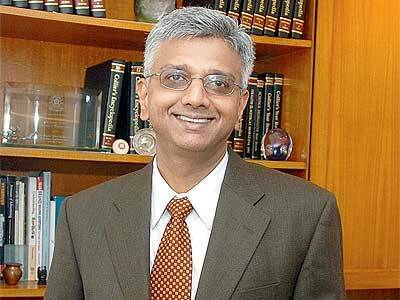 The year was 1987 when Boots Company conferred a major responsibility on the shoulders of Ambi Parameswaran. The company was setting up its new consumer product sales team and had also promoted 16 of its brightest representatives to take on the Area Sales Managers. Anil Kapoor, the Director of the Division and Ambi Parameswaran’s long time mentor, persuaded him to plan an exercise to help managers figure out the intricacies of territory allocation and route planning. “I thought I had created a great exercise and had briefed them well till that ominous night in Goa. A.N. Saini pulled me aside during dinner to warn me that the exercise devised by an IIT-IIM guy should not derail the team which was just coming to grips with the new task. I decided to rush back to my room, do the exercise once again and visit each of the four teams to give them tips,” Mr. Ambi Parameswaran recalled. However, the team insisted to continue with the exercise without any change whatsoever. “The next day morning the four teams presented one after another and proved AN Saini wrong. Not only had they worked through the night but had loved the exercise so much they thanked me and AN Saini for putting them through the torture,” he added. It was then when both A.N. Saini and Ambi Parameswaran realized that how a tough task can really help a new team to set off. After winning the account of Tata Indica, FCB Ulka approached us to launch the car in the market. Ambi Parameswaran’s team got too deep in developing the advertising strategies and crafting its creative aspects while he and A.N. Saini discussed on the multitude of the challenges the company might face launching the car in the market. The market was skeptical about the company. “What resulted were discussions that would start around 5 pm and run till 11 pm every night, for almost ten days on the trot. The agency and the client teams would engage in heated discussions backed by data. At the end of the day we would all depart to do more homework, only to reassemble the next day at 5 pm,” he said. Professor P.L. Arya explained him that that there were several universities offering flexible options to help people like him to complete PhD. Although he overlooked the suggestions by the professor, he eventually completed his PhD from a Mumbai University. “I deeply mourn the passing away of both Prof Arya and Prof Ghai, but I will eternally be grateful to them for their words of encouragement. My thesis on the topic of ‘Religiosity and Consumer Behaviour’ led me to write b a book “For God’s Sake – An Adman on the Business of Religion”, published by Penguin India in Jan 2014,” he recalls.